One of the defining characteristics of a state's non-compete law is its application of the blue-pencil rule. Although several variations of the rule exist, states generally fall into one of two camps: those that readily modify overbroad covenants to make them reasonable, and those that generally frown on modification or blue-penciling. Georgia historically has been one of the states that enforces only those agreements that are reasonable as written. That is to say, courts cannot modify overbroad agreements to make them enforceable. In essence, Georgia judges will decline to force the parties to accept a contract they could have, but didn't, make. Georgia law continues to evolve, and a new statute governs contracts entered into after May of 2011. However, it doesn't impact contracts signed before the effective date, and courts will continue to apply the old common law for many years to come. covenants restricting the acceptance of business from actual or potential customers. restrict disclosure of trade secrets or confidential information. Like many states, Georgia historically has frowned upon so-called market-based restraints, which contain broad prohibitions on working for a competitor in any capacity. 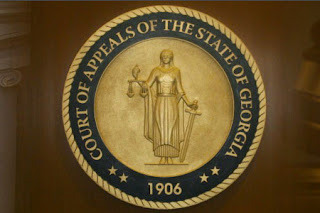 Georgia's case law, however, also has applied strict scrutiny to lesser restrictive customer-based restraints, such that a number of appellate decisions strike down clauses that many other states would deem enforceable. For instance, Georgia courts have frowned upon customer-based restraints that prevent an employee from accepting, instead of soliciting, a customer's business. This distinction never has made much sense to me, since it's virtually impossible without the aid of legal process to determine who solicited whom. The Court also discusses at length in Hess Georgia's reluctance to enforce choice of forum and choice of law clauses in contracts when application of a foreign state's law would lead to a result contrary to Georgia's public policy. In keeping with one of my sacrosanct rules to limit discussion of venue and jurisdiction disputes to an absolute minimum, I will say no more regarding this subject.